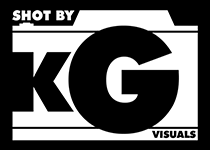 Welcome to ShotByKG.com. I'm very passionate about my photography and even more about capturing the right images for my clients. My team and I have created 3 brands to better express my different visions of the work I do. I shoot events and concerts for Street Savvy Media, real estate and architecture for Pic this House, and portraits and other examples can be found here on Shot by KG. Hopefully, one of these will fit your needs! “Your first 10,000 photographs are your worst.” - Henri Cartier-Bresson. I'm trying to get to 10,001. All of the photos displayed on this site is the property and work of the talanted photographer KG.